DTD is proud to offer undergraduate scholarships that have been established in memory of our brothers. In 2007, Gene McCarvey of Kokomo, Ind., established a memorial scholarship in honor of his father, Eugene J. McGarvey, Gamma Upsilon, 1932. 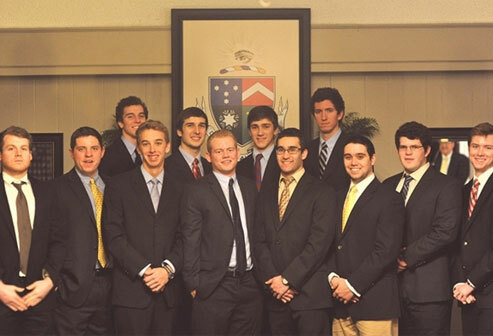 The generous funding provides a $1,000 award to a deserving Delt Scholar. This is the third scholarship fund set up by brothers or their families. The other two scholarship funds are in honor of brothers H. David Smeltzer '64 and John Neuman '55. If you are interested in establishing a memorial scholarship for DTD Miami, please contact the Delta Tau Delta Educational Foundation at 317-284-0210 or the Miami University Office of University Advancement at 513-529-1230.